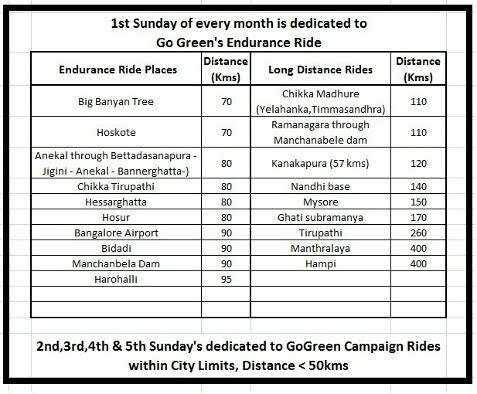 & in 9 years of time has organised 580+ GoGreen Campaign Rides"
Don't worry if the rides r not updated over here, pls click here to know the next ride..
2,3 & 4th Sunday Campaign rides starts @ 7-30am from cubbon park central library. one more award to our list & this time it's a "Bicycle Bull of India Award" from Alexi Grewal (an America's, only Olympics gold medalist) for my contribution & promoting cycling as a mode of transport in Bengaluru & other places of India. i would like to dedicate this award to my entire www.gogreengocycling.org family, with out you lovely people's support this wouldn't have been possible.. 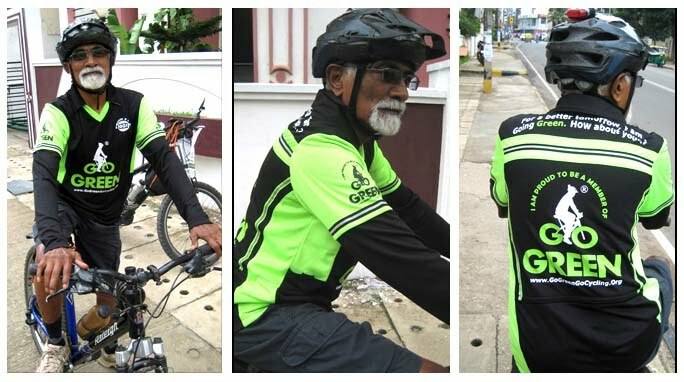 I am proud to be part of our GoGreen Family.. What more reason you need to say "I Ride with Pride"
Our Bylahalli Raghunath Janardan Sir, 83+ years young and cycles all over bangalore on his cycle..
Hatts off to him and his endurance.. 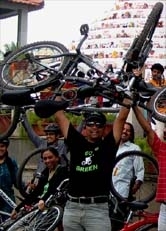 He has run almost all the marathon that were conducted across india..
so many people to take up Cycling .. Sir, GoGreen family is proud to have you as our member..
We don't ask any Donation, All that we ask you is to contribute your self & bring in a change, The change that can inspire others to follow you. 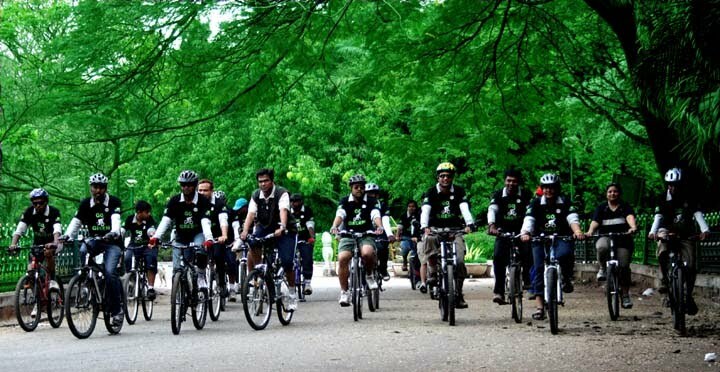 Come join us, lets Cycle together & make a change to our environment.. GoGreen Rao. Pay back in terms of saving power.. Payback in terms of saving water, payback in terms of saving paper, payback in terms of saving fuel or in one word payback in terms of saving all kind of natural resources that is contributing to Global Warming. All in all cycling would be the best mode of payback to the Mother 'Nature'. 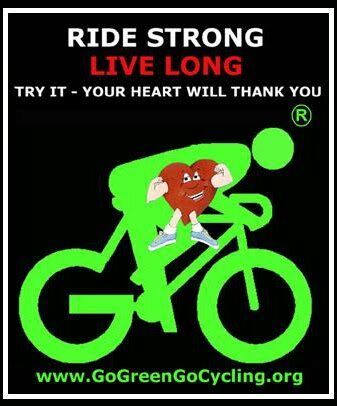 GoGreenGoCycling is a concept of Cycling to work Encouraged & Supported by Group of professionals from various background. 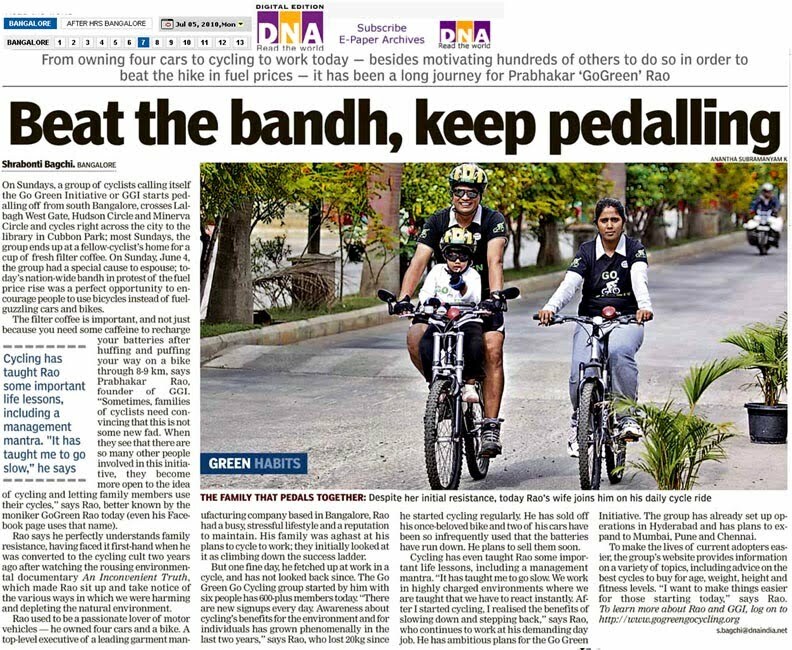 We not only Cycle to work but also organise GoGreen Campaign ride appealing to the community to use bicycles for regular commuting instead of using their Cars/Bikes. You can ensure 1 less Car/Bike on the road that would have contributed for all kinds of pollution(s). For a better tomorrow ..
Click here 2 Order GoGreen Jersey . 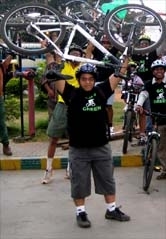 GoGreen Rao receiving Times Cycle to Work Award & Bangalore’s Youth Award for promoting Cycling as a mode of transport. An Short Video for those of them who find issues/problems for not Cycling. you want to go and yet put one less car on the road. Considering petrol rates as Rs 78/ltr, (Petrol rates as on 2014) It costs between Rs. 10.00 per KM to operate a car, depending on the vehicle. This is based on expenses like petrol, oil, maintenance, etc., that go up month by month + when you drive more the cost could go up due to age of the vehicle too. This figure doesn't include the hidden costs of vehicle ownership, depreciation, taxes, and insurance. These factors make the actual per km cost to operate a car much higher. For example: my daily round trip commute (House-Office-House) is 19 km. If I do this just four days a week , I am saving over Rs.177/Ride/day, Rs. 3000/month like wise Rs.36000/year . 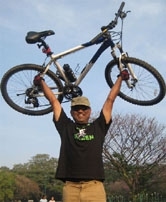 (In turns of Natural resources - 384 Ltrs of Petrol) Just think, if we all start using bicycle what would be the overall saving's which r direct savings, apart from these savings you also save a huge amount that you would have spent for Gym and Dr. fee + Medicines and so on..